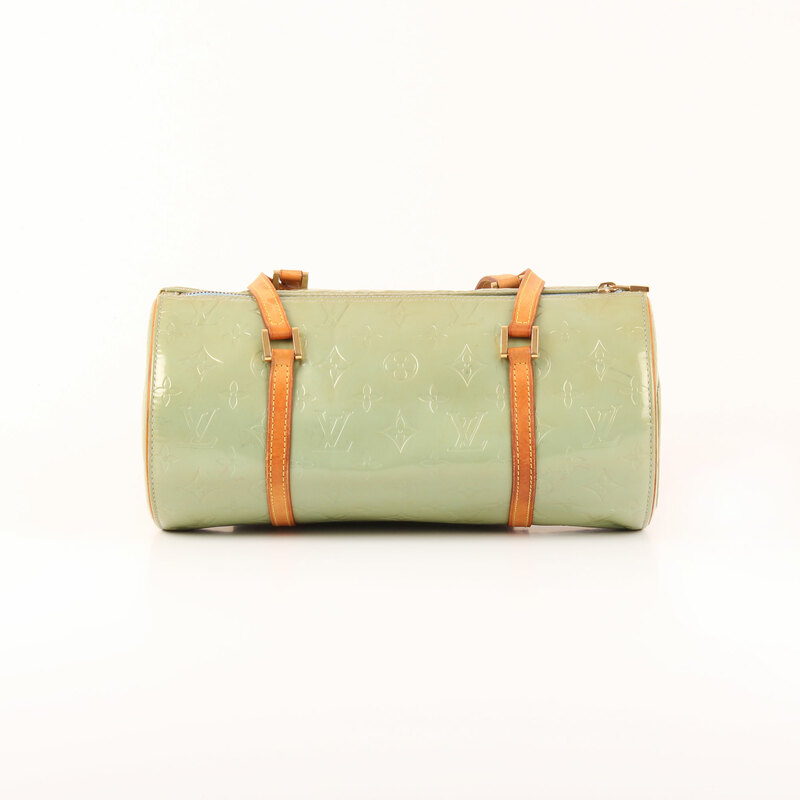 Louis Vuitton Bedford Monogram Vernis. New-York inspired with curved lines, this shoulder bag is a bold choice with the pop culture touch. 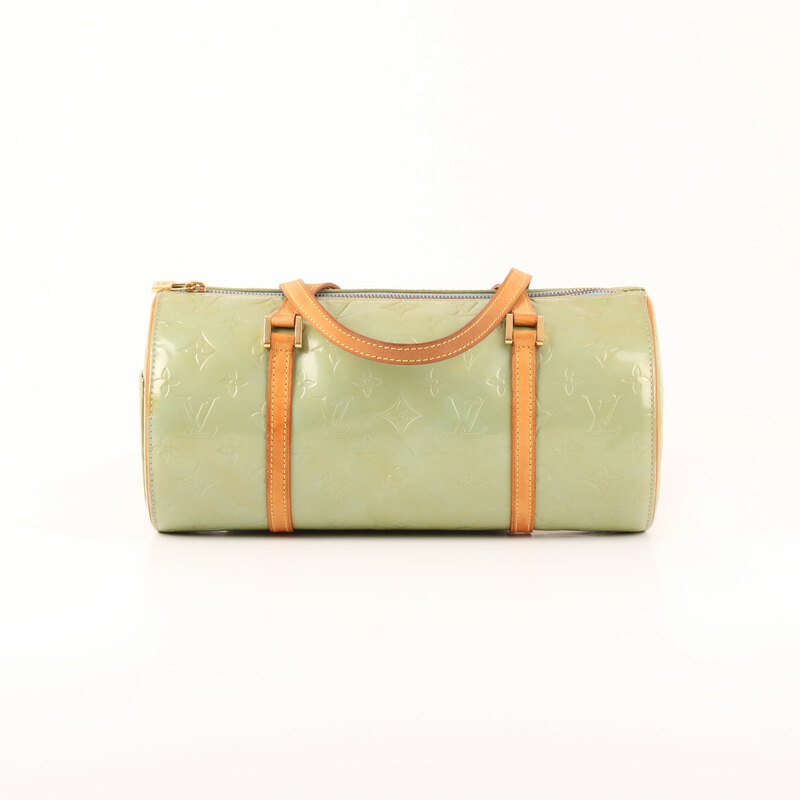 Please contact us if you want something similar, we will help you to find it. 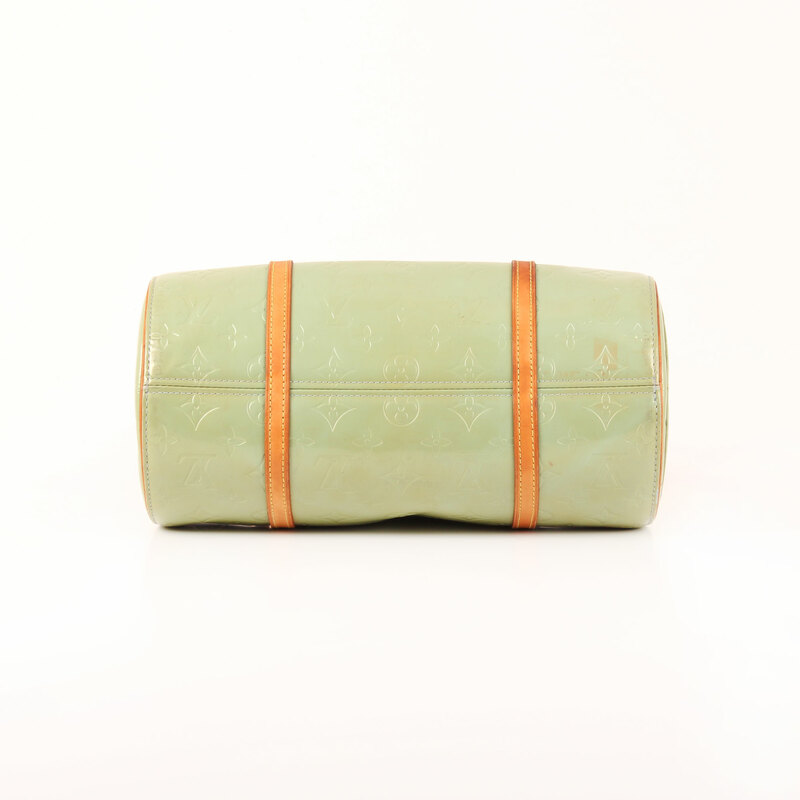 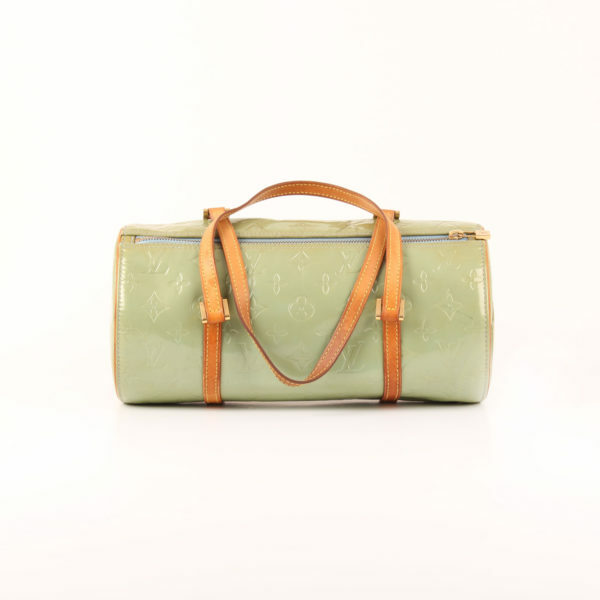 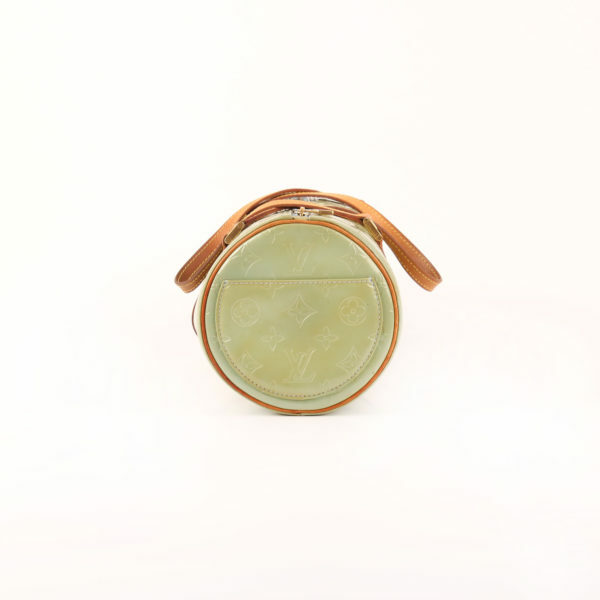 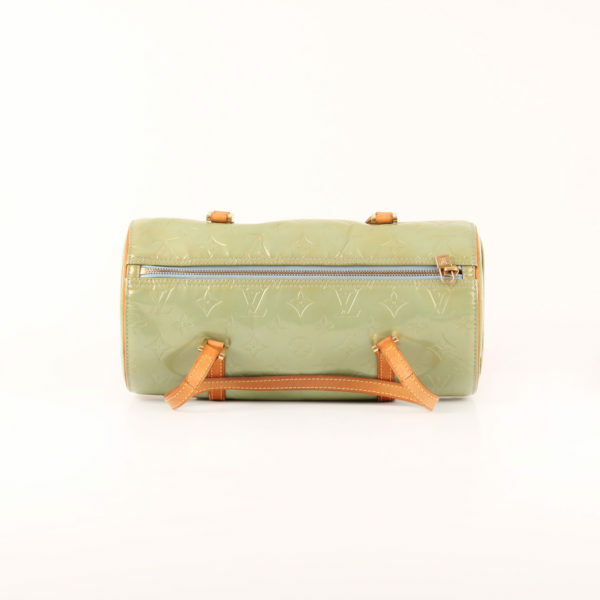 Bedford bag in monogram light green patent leather from Louis Vuitton. 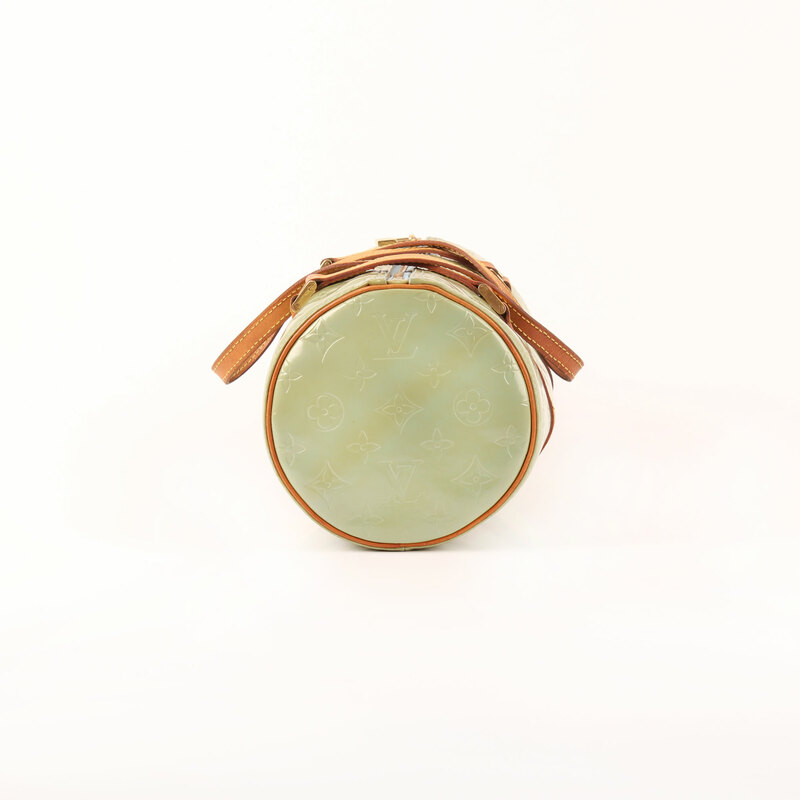 It has a characteristic round barrel shape. The bag features zipper close, two long handles in natural leather to carry it on your shoulder and gold hardware. 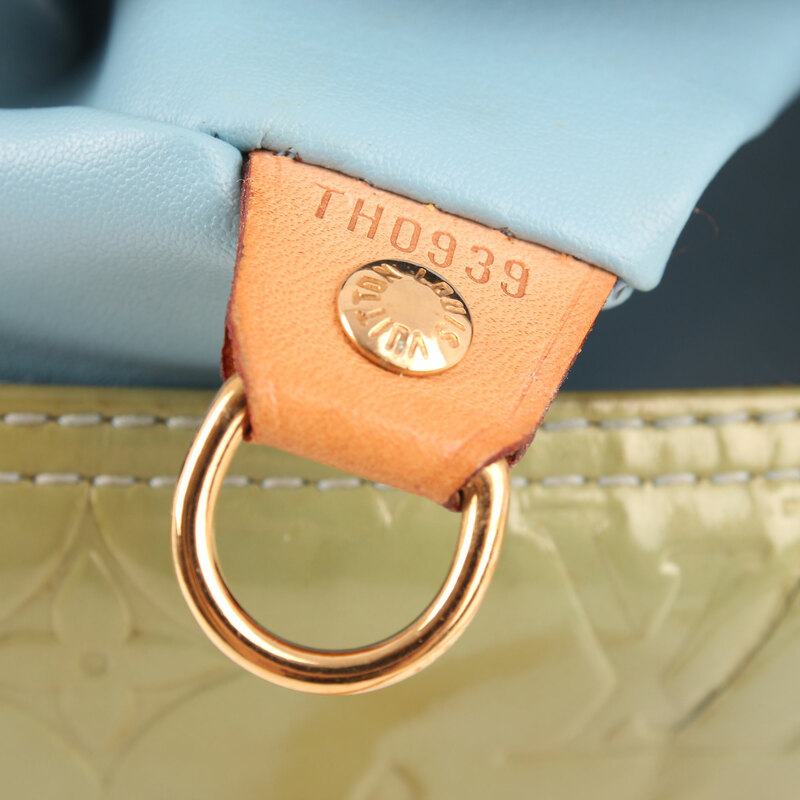 Natural leather trim and calfskin blue lining. 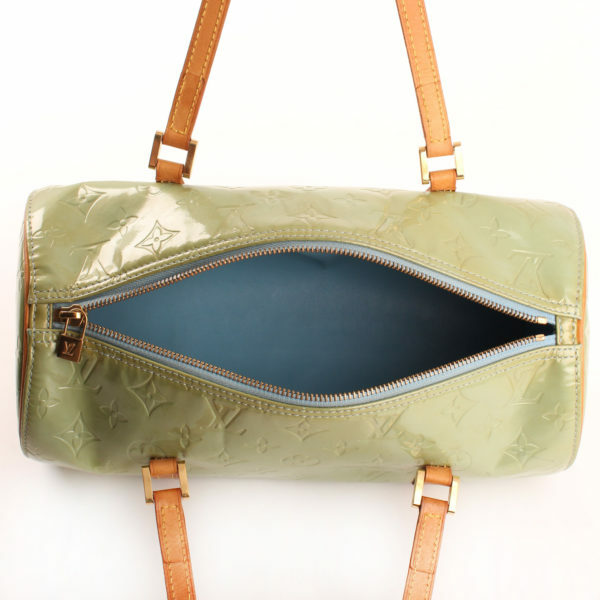 This shoulder bag features a flat exterior pocket on one side. 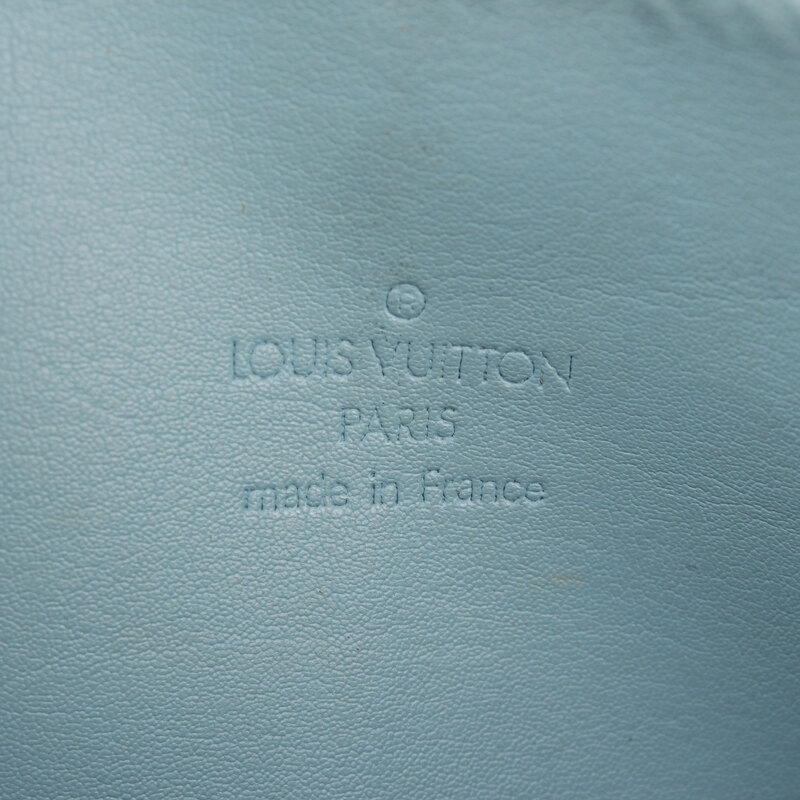 Details: Leather shows sighs of cracking. 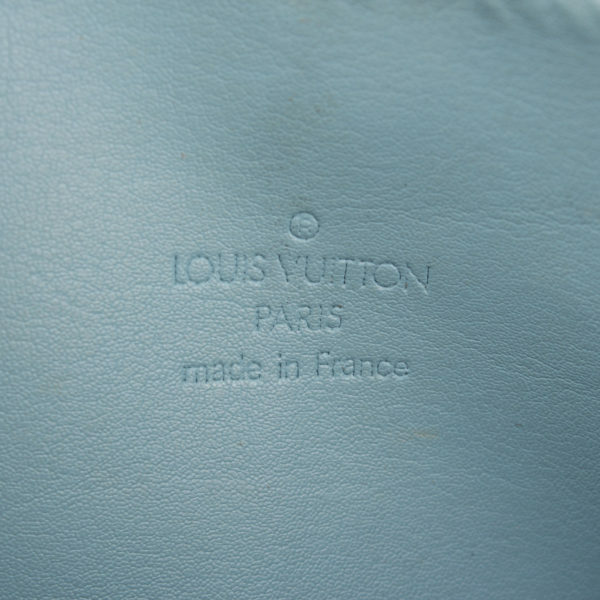 Patent leather shows sighs of wear and some darkening.